Wowzers!!!!!! If you're one of the lucky fans to have a Kindle Fire, you don't want to miss this FREEBIE! Many are reporting that they're getting a FREE $3 Amazon Credit. 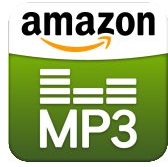 The FREE $3 Amazon Credit will score you some FREE Music at the Amazon MP3 Store.